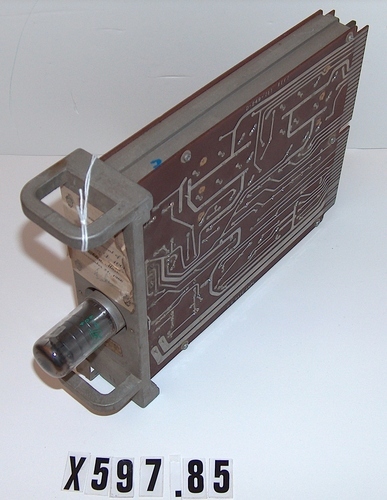 Object is a plug in unit with one vacuum tube at the front (between two metal "D" handles). Paper label on end reads "Presented to Al Landsman at the retirement of the Brighton D1000. Brighton, Mass, November 21st 1966." and a signature that may be "Finke".